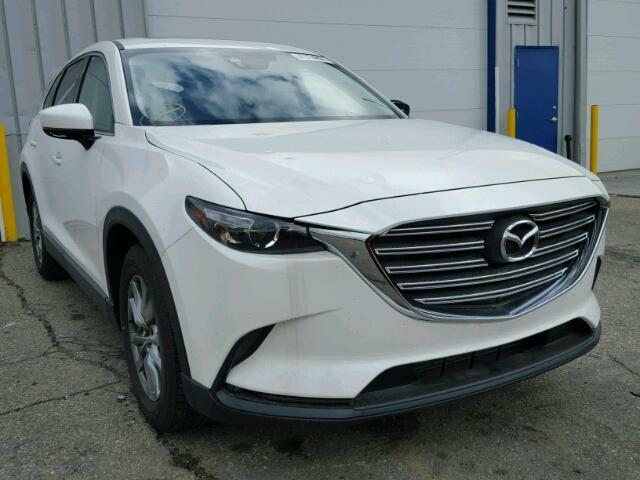 How will I get Get Value for My Mazda? Mazda Wreckers Auckland give your more than your previous quote, that’s value! How will I Sell My Mazda For More Cash? We Offer the Most Cash For Cars! Car Wreckers Auckland is number one stop for used Mazda spares and parts. With over 15 years in the industry, we have a large range of parts in stock for all Mazda models. Mazda Wreckers Auckland can source brand specific or supply aftermarket parts like mirrors, blinkers, radiator etc. Mazda wrecking Auckland is a salvage yard specializing in Japanese import car and truck parts. Our excellent service is a member of a huge network of nationwide salvage yards, which ensures we get the right part for you. Whether you’re a car owner, collision or auto repair shop, or dealership, our task is to assist you. Mazda Wreckers Auckland is dedicated to providing the highest quality recycled and used auto parts possible. We will provide unparalleled customer service, on-time delivery, and treat our customers with professionalism, honesty and respect. All of our Mazda parts have been thoroughly tested and reconditioned so you will have the confidence that your spare part won’t let you down from Auckland leading Mazda auto recyclers. No matter how you slice it, working with an auto recycling company near you such as Auckland cars wrecker is your best bet to get top dollar for your Mazda vehicle. If you want to learn more or find out how much you’ll receive, don’t hesitate to give us a call at 0800 70 70 99. We have a huge network of end of life vehicle collectors ready to pay money for your Japanese car. We compare hundreds of prices, and source the best quote for your vehicle. Toyota wrecking, Mitsubishi wrecking, Honda wrecking, Subaru wrecking, and many more. This entry was posted in auto salvage and tagged 323, 626, Astina, Atenza, Axela, B2000, Bongo, Bounty, Capella, Cronos, Demio, Eunos, Familia, Lantis, Mazda 4x4 Wreckers Auckland, Mazda dismantlers Auckland, Mazda MPV Auckland, Mazda Truck Wreckers Auckland, Mazda Van Wreckers Auckland, mazda wreckers, mazda wreckers auckland, mazda wreckers bongo, mazda wreckers Manukau, mazda wreckers north shore, Mazda2, Mazda3, Mazda6, MPV, MX5, MX6, Premacy, Proceed, RX7, RX8, second hand parts mazda, spare parts mazda, Tribute on July 9, 2013 by Cars Wrecker.